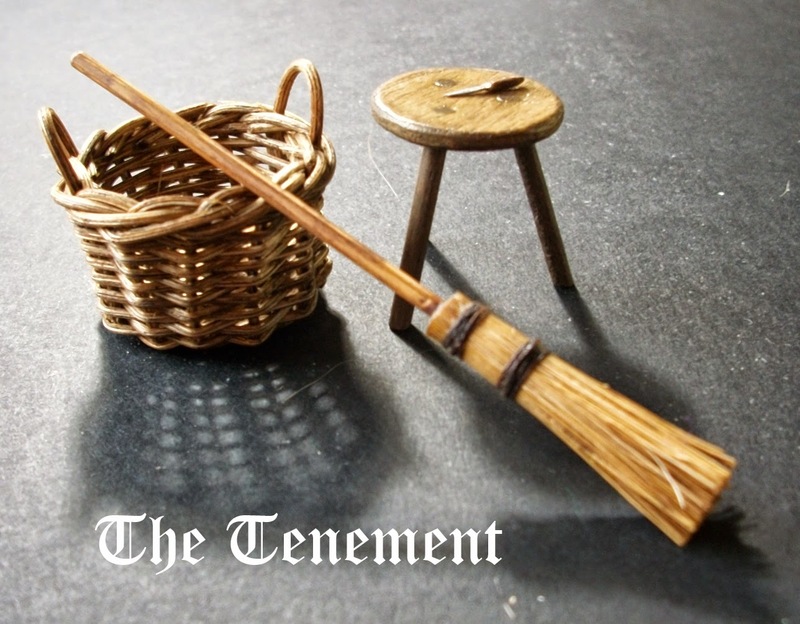 The Tenement: It's not much, but it's a start! 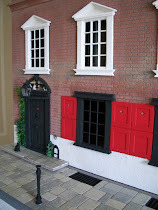 Nice items and nice project - 18C shoe maker ! I know you will enjoy researching. Two places that may have some ideas are the Highland Folk Museum and Beamish Museum. Thanks MWL! Beamish I knew about but hadn't heard of the Highland Folk Museum. I'll check that out, thanks. Hi Irene! I love your meticulous research and devotion to accuracy! This room should be fascinating! The tiny tool is so well made! I look forward to seeing more! Hi Irene, Great rooms grow from little things and you have to start from somewhere, don't you? If Mr. T Bennett's shoemaking space is anything as interesting as all of the other great rooms that you have researched and worked on, then I think that he will have nothing to worry about at all. It will be Perfect! You have a good beginning with these items! I'm sure the room will look great when you're finished with it. You do such lovely work! Un proyecto muy interesante,seguiré de cerca tus avances!!!! You will need to make some shoe lasts in different sizes (I have never seen them in miniature) - they are traditionally carved of wood, which should be easy after carving cow legs! During the 17th century, shoemakers stopped shaping shoes for left or right feet (blah blah Louis XIV, blah blah men in fancy high heels, blah blah too expensive to make two different lasts for heeled shoes) - and the practice of distinguishing left and right feet didn't resume until the 19th century. So, your lasts should look as though they could work for either foot. And if you want to have some tiny shoes, do note that men's shoes had square toes, high square heels, and large square tongues up until 1720 (some conservative older men continued to wear this style later on, earning the nickname "square toes"). After that, shoes became rounder and heels were lower. In both cases, decorative buckles were common. Thanks for taking the time to give me this information - it's very helpful as I know virtually nothing about this particular trade. You've certainly given me plenty information to start with and it's much appreciated. Anytime! I'm fairly well-versed in historic costume, so if you have any questions, let me know. I'm looking ofrward to hearing more about this room. What you got is perfect to start.